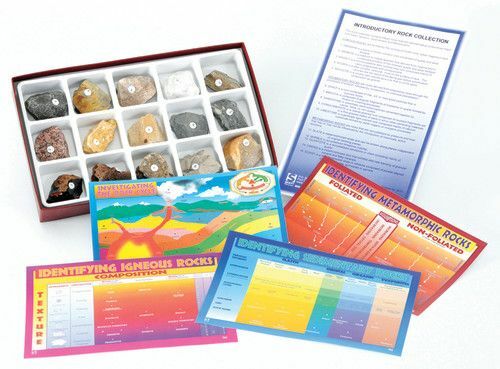 Provides a primary presentation of the basic rock types. 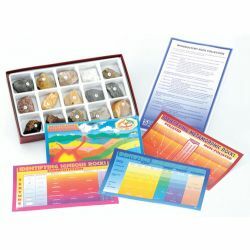 Includes five each of igneous, sedimentary and metamorphic rocks, totaling 15 specimens, approximately 11⁄2" x 11⁄2". Includes key and charts.